Heat oven to 350°F. Let cookie dough stand at room temperature 10 minutes to soften. In large bowl, break up cookie dough. 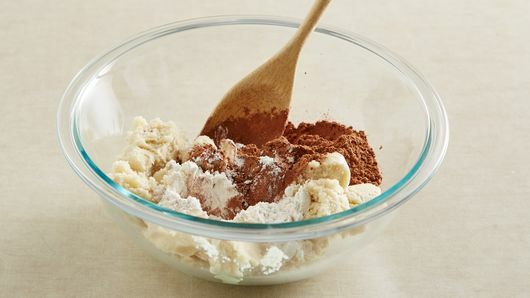 Add cocoa and flour; stir with spoon or hands until well blended. 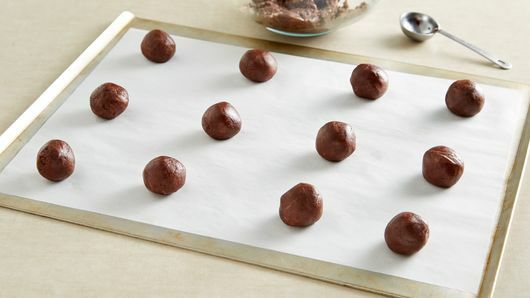 Shape dough into 24 (1 1/2-inch) balls. Place balls 2 inches apart on ungreased cookie sheet. Bake 9 to 12 minutes or until tops are cracked and edges are set. Cool 1 minute; remove from cookie sheet to cooling racks. Cool completely, about 20 minutes. Meanwhile, in large bowl, beat marshmallow creme, softened butter and vanilla with electric mixer on medium speed until well blended. Beat in powdered sugar until smooth and fluffy. Place frosting in decorating bag fitted with 1/2-inch round pastry tip. 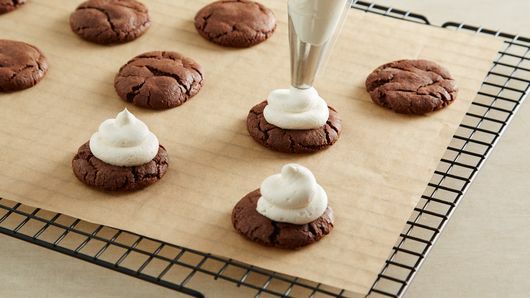 Pipe frosting on center of each cookie. 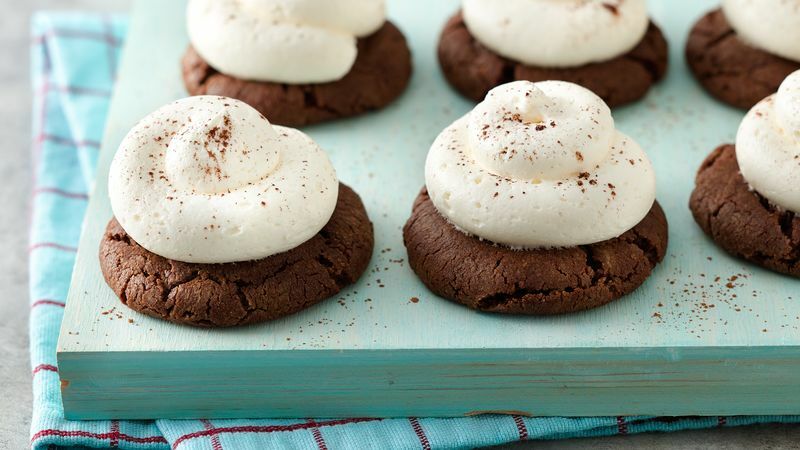 If desired, sprinkle with additional cocoa. Substitute 1 container (1 lb) purchased vanilla frosting for the marshmallow creme mixture. For added sparkle, roll cookie dough balls in crystallized sugar before baking. Don't have a 1/2-inch round pastry tip? Place frosting in resealable food-storage plastic bag; seal bag. Cut 1/2 inch off bottom corner of bag, and squeeze bag to pipe frosting onto cookies.